If you’re in business then there’s no doubt that you’ll have been networking or tried social media for business. Both are heralded as very good for business and many business leaders say they can’t be without them. But have you tried them, and had a go at making them work, only to find that they don’t? Neither of them have worked. Just try starting a social media account or going networking for your business and see what happens. Most of the time you get nothing… for months and months. So why do folk keep banging on about networking and social media for business? If you go networking to just ‘be there’ and don’t plan to do anything solid then it won’t work. Plan your 40 or 60 seconds. Take your banner or leaflets. Have some good quality business cards. Oh, and make sure you know what you’re doing in the next few weeks, so when someone asks you for a further chat you can book it right there and then. 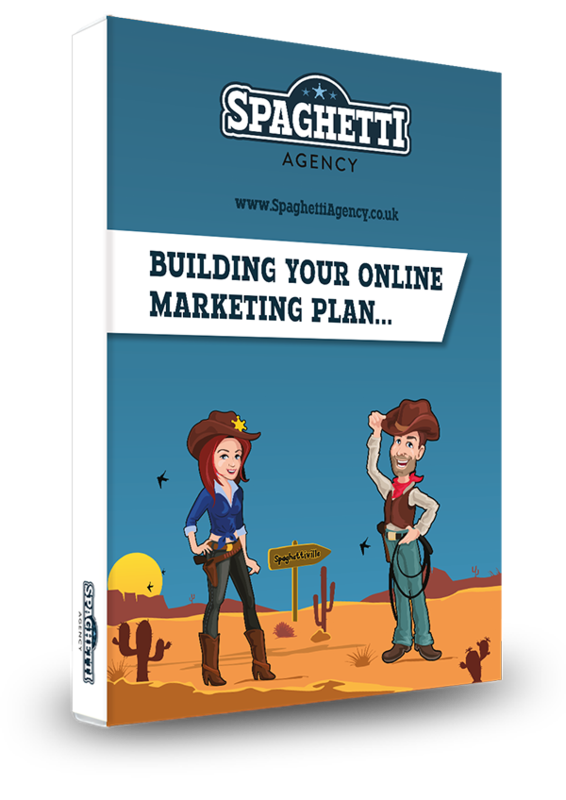 With any social media channel it’s best to plan what it is exactly that you’ll want to gain from it. Sales? Sure. But you won’t get them by doing the hard sell straight away. 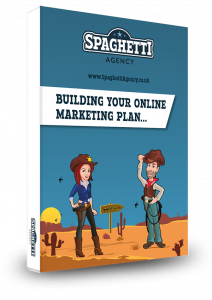 Set your aim and work out how you plan to reach that aim with social media. If you go to networking just looking for business for yourself, guess what? It won’t work. Imagine if everyone had that attitude? You must have met people who only want to pitch you their tired statement and don’t want to listen. Would you buy from them? I wouldn’t! When you go networking, take an interest in the other people there and work out how you can help them. Who can you put them in touch with? Do they need any suppliers you know? It’s amazing how much stronger or more valuable your network is when you do that. Sales? They can come when you’ve paid it forward. If you’re on social media to sell your stuff then no, it won’t work. Social media is SOCIAL media. It doesn’t benefit the sales people – it rewards the givers and the contributors. The sharers and the helpers. Be positive, and help your connections. Social media is about education, entertainment, keeping up-to-date and connections with people all over the world. Sales do happen, but they come after you’ve built trust. Sure, there have been sales from tweets sent and LinkedIn posts published to cold connections, but it’s rare. Build the trust with informative content and the sales will come. If you go to a networking event then you need to get into the mindset that a networking event is just the start of the relationship and conversation. Just because you haven’t made a sale right away doesn’t mean you won’t. Just because someone hasn’t bought from you doesn’t mean they won’t in future. You have to be there when someone’s ready to buy from you. It’s your job to remind them what you do when they’re ready…. you just don’t know when that will be. If all you do is post and run, don’t complain to me that it doesn’t work. Automating your content will make your social channels look active but it won’t help you stay connected and in the face of the people you connect with. You’ll get way more from taking an interest in the connections you make than if you just post and run. Both channels are very heavily invested in human relationships, trust, and timing. It’s notoriously hard to get it right but that doesn’t mean it’s not very simple. You need to prove you know what you’re taking about. Help as many people for free as you can with great content like blogs and talks, and then be there when your prospect is ready to buy from you. I don’t know when that is. You don’t know when that is. And your prospect doesn’t either. My final words of advice are simple: Be there. Be on social. 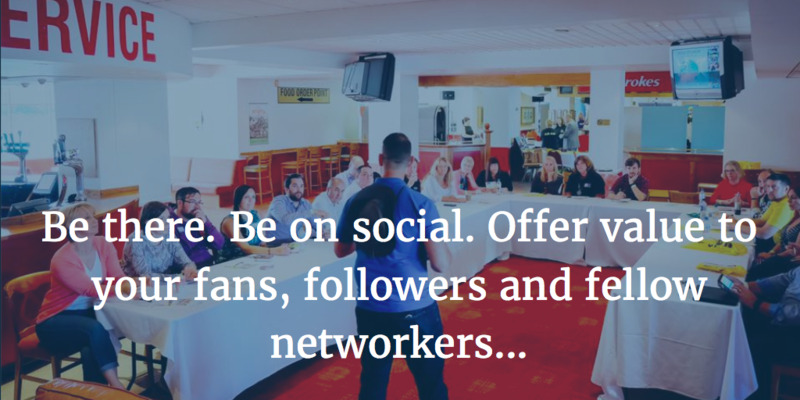 Offer value to your fans, followers and fellow networkers. Be the one they think of, see and hear from. Don’t ever think it doesn’t work… because as I’ve found out recently, that mindset will make it so. 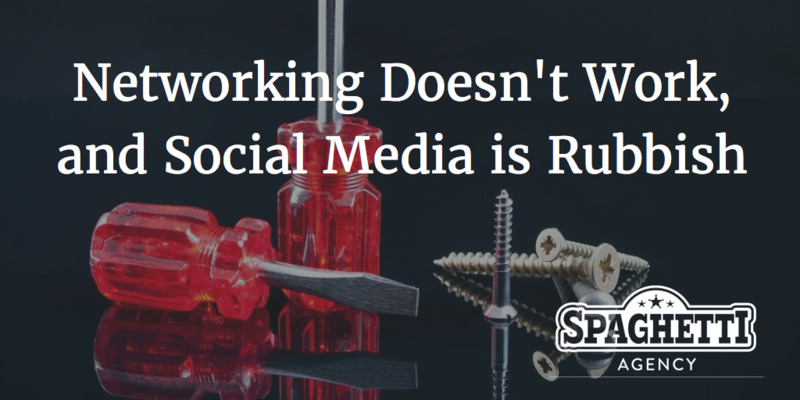 Networking and social media don’t work… the way we wished they did. Work at them… it’s a whole new ball game! If you really want to make social media and networking work then join me and Stefan Thomas on a brand new workshop. We’ll be joining up networking and social media. You’ll get a plan and a focus and eventually more business from networking and social media. You can book it right here. Amazing blog! Everyone wants to tell me why I’m wrong, you tell me why I’m right and what I can do differently- genius! It’s like anything: if you do it the wrong way it won’t work! Hit the nail on the head as usual, Todd!